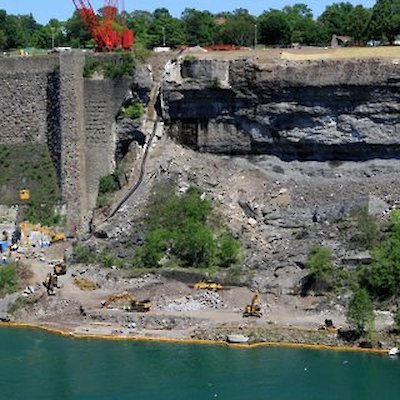 It was on June 7, 1956, 57 years ago, that a rock fall from the face of the Niagara Gorge destroyed the multi-million dollar Schoellkopf Power Plant on the U.S. side of the border. On that day men working on the day shift noticed water seepage through the back wall of the plant and spent the day trying to stop the increasing flow of water with sand bags. By 3:45 p.m. more cracks and leaks had developed and part of the floor had developed. Suddenly it happened; the walls and the ceilings came down. There were forty employees in the plant and amazingly only one lost their life. 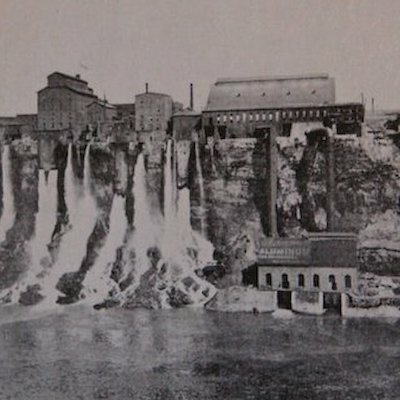 Prior to the power plant being constructed in the late 1880’s it was the location of the Pittsburgh Reduction Company which later became the Aluminum Company of America (ALCOA). On this location today the new docks for the Maid of the Mist boats are being built. 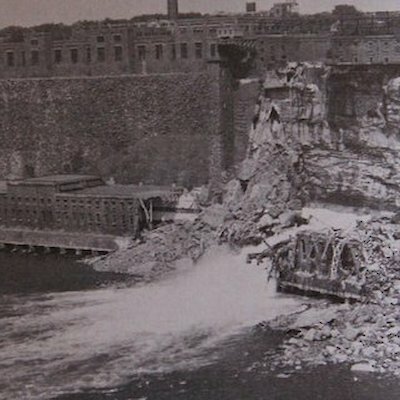 The three accompanying photographs show on this location, the original aluminum plant, the collapse of the Schoellkopf plant and the present day building of the Maid of the Mist docks. Note the remains of the destroyed power plant can still be seen in this photo.